World of Books Ltd was founded in 2005, recycling books sold to us through charities either directly or indirectly. Book Condition:VERYGOOD. We appreciate the impact a good book can have. We all like the idea of saving a bit of cash, so when we found out how many good quality used books are out there - we just had to let you know! ISBN: 1909173266. Author: David Cox. Book condition: VERYGOOD. Prizes: N/A. Book binding: N/A. Number of pages: N/A. 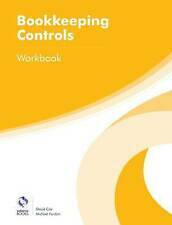 AAT Level 4 accounting systems and controls tutorial and workbook. There may be pencil marks on the book. May be pencil marks in the books but in good condition. ◦ ACCA syllabus coverage. The Workbook covers all ACCA syllabus knowledge in a concise and accessible way, with helpful worked examples. Valid for exams until June 2019. ◦ Exam Success Skills. 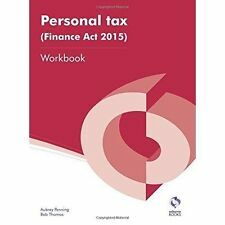 The Workbook introduces the six BPP exam success skills with new content which defines these skills and explains how these can be improved. Author:Penning, Aubrey. Book Condition:VERYGOOD. Book Binding:N/A. We appreciate the impact a good book can have. We all like the idea of saving a bit of cash, so when we found out how many good quality used books are out there - we just had to let you know! Author:Cox, David. Each month we recycle over 2.3 million books, saving over 12,500 tonnes of books a year from going straight into landfill sites. All of our paper waste is recycled and turned into corrugated cardboard. Author:Tom Clendon. 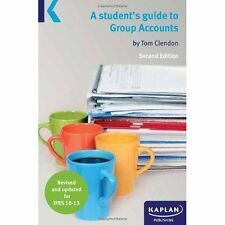 A Student's Guide to Group Accounts. Each month we recycle over 2.3 million books, saving over 12,500 tonnes of books a year from going straight into landfill sites. All of our paper waste is recycled and turned into corrugated cardboard. This text contains practice examinations with answers, helping the student to prepare for the exam. Author:Harrison, Ian. Each month we recycle over 2.3 million books, saving over 12,500 tonnes of books a year from going straight into landfill sites. All of our paper waste is recycled and turned into corrugated cardboard. Summarising relevant unit content. It is designed to help students to structure their revision and make them aware of the concepts they need to understand the exam and how they might analyse and evaluate topics. 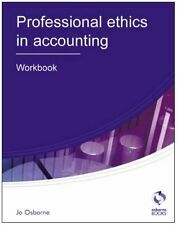 Brand new RRP £47 Selling as I have graduated, brought this book in my final year however I didn’t use it. Author:Sangster, Alan. Book Binding:Paperback. Book Condition:GOOD. World of Books Ltd was founded in 2005, recycling books sold to us through charities either directly or indirectly. Each month we recycle over 2.3 million books, saving over 12,500 tonnes of books a year from going straight into landfill sites. Authors: Osborne Books. Publisher: Osborne Books Ltd. We take pride in serving you. Books spine may be slightly creased due to age and wear. Pages maybe folded due to previous owners use. A copy that has been previously owned. Author:Pain, Brian. Publisher:Pearson Higher Education. Each month we recycle over 2.3 million books, saving over 12,500 tonnes of books a year from going straight into landfill sites. All of our paper waste is recycled and turned into corrugated cardboard. Solicitors' Accounts: A Student's Guide. Author:Baker, Janet. We appreciate the impact a good book can have. We all like the idea of saving a bit of cash, so when we found out how many good quality used books are out there - we just had to let you know! All orders are dispatched as swiftly as possible! Condition: Used; Good. Used Book Condition. Publisher: Hodder Education. AQA AS Accounting Student Unit Guide: Unit 2 Financial and Management Account. Will be clean, not soiled or stained. Books will be free of page markings. Book Condition:GOOD. Book Binding:N/A. We appreciate the impact a good book can have. We all like the idea of saving a bit of cash, so when we found out how many good quality used books are out there - we just had to let you know! First Edition : False. List Price (MSRP) : 9.99. Dust Jacket : False. ISBN : 9781444171433. Signed : False. Pages : 80. Publication Date : 2012-10-26. We aim to be helpful and flexible.andnbsp;. ISBN 10: 191119805X. Publication year: 2016. Country of origin: United Kingdom. Product Details World of Books Ltd was founded in 2005, recycling books sold to us through charities either directly or indirectly. Book Condition:VERYGOOD. We appreciate the impact a good book can have. 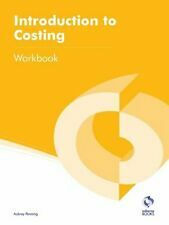 Management Accounting: Costing Workbook by David Cox (Paperback, 2016). Condition is Good. Dispatched with Royal Mail 2nd Class. Publisher Kaplan Publishing. Place of Publication Wokingham. Date of Publication 05/06/2014. Language(s) English. Publication Data. First Edition : False. List Price (MSRP) : 9.99. Dust Jacket : False. ISBN : 9781444172065. Signed : False. Pages : 80. Publication Date : 2013-01-25.